Oklahoma held the nation's No. 1 spot for three weeks this season. The Sooners have used the same starting line up every game this year, but it goes further than that — four of the five OU starters have started each and every game for the past three years (102 consecutive). Buddy Hield is the main guy, but players like Isaiah Cousins, Jordan Woodard, Khadeem Lattin and Ryan Spangler will also play a big role. And while the Sooners aren't a very deep team, they have some dangerous weapons waiting their turn. Christian James, a 6-4 freshman guard from Bellaire, is a guy who, if given the chance, could make a huge impact on this game. Some say let him do his thing and completely shut down the rest of his team. Ask Iowa State how well that worked. Hield scored 39 points against the Cyclones, while the rest of the Sooners scored a combined 40. The Sooners won 79-76. Some say focus on shutting him down and make his teammates beat you, a prime example being OU's 69-67 loss to West Virginia. Hield only scored six points, however, his half court heave at the buzzer that went in would have given him nine total points and the Sooners the win, had time not expired. I've been on both sides of the argument but the more I think about it and the closer we get to game day, the more I believe that while the Aggies can't defend Hield like a normal opponent, they also can't change everything they've been doing the entire year. Texas A&M has faced some tough opponents this year (Tyler Ulis, Jamal Murray, Stefan Moody, Isaiah Taylor, Monte Morris, George Niang, etc.) and it's tweaked the game plane for each, but never given the defensive game plan a total overhaul. And the Aggies don't need to do that now. Alex Parker, TexAgs Regardless of who guards Buddy Hield, the Aggies must balance between hounding the Sooners star and staying true to their defensive identity. What Texas A&M has to do is locate Hield immediately and get a hand in his face on the catch. At times the Ags should face guard and not allow him to touch the ball. No matter who has the assignment — House, Caruso and Gilder will all get their chance — they can't lose track of where Hield is on the court. 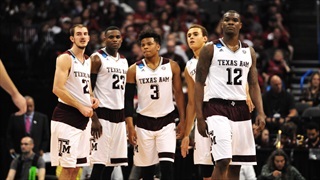 Ultimately, it's all about executing the defensive rules A&M played by all year: no straight line drives, no uncontested shots, good back side rotation and secure the rebound. Perimeter play: Both the Sooners and the Aggies have multiple weapons at the guard positions. 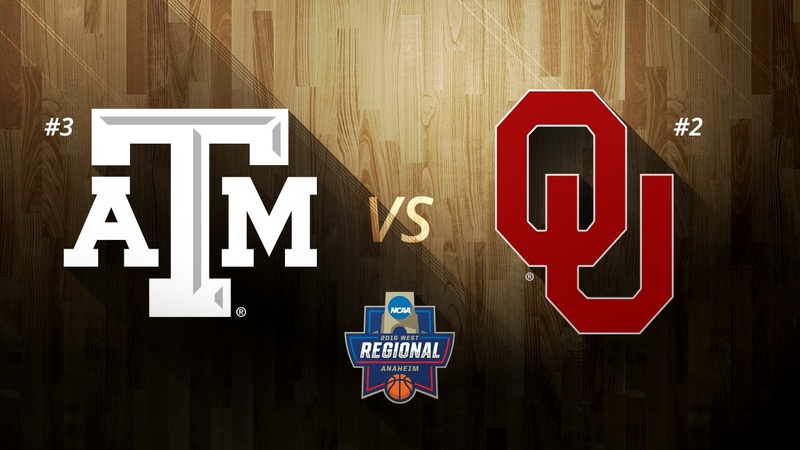 While Oklahoma's guards are more naturally gifted scorers, Texas A&M has more depth and versatility to its lineup. Hield, Isaiah Cousins and Jordan Woodard are asked to do everything for their team. For the Sooners to have a good showing, those three must score, pass, rebound and defend. On the other hand, the Aggies have Caruso and Collins who pass and defend well, with scoring being a bonus; House, Gilder and Hogg can score and defend, and are also capable passers; all five of the A&M players can be a presence on the glass. And if one has an off night, the others can pick up the slack. Big man matchups: Ryan Spangler is the Sooners' biggest/strongest post player, but he likes to roam the perimeter and shoot threes. Khadeem Lattin is the more athletic Sooner big man, but his offensive game is completely in the paint and above the rim. Tyler Davis will have to move his feet and be ready to attack the glass from outside the paint when guarding Spangler. With the potential of Davis guarding along the perimeter at times, he will have to be ready to help on the dribble drive (from different angles other than in the post) and not pick up any cheap reaching fouls. Jalen Jones will be defending Lattin, which means he must be prepared to fight through back screens and break up lobs. Lattin loves to run the floor and play above the rim, so Jones has to get back in transition defense in a hurry. Lon Kruger does a good job of calling unique, quick hitting plays — plays that have only one scoring option and then immediately turn into their basic set. One of the Sooners' favorite plays for anyone not named Buddy Hield is a back screen for a lob to the post player. It's very similar to what Kentucky ran on the first play of the second half in the SEC Tournament championship game. Oklahoma also likes to run Hield off staggered screens along the baseline, allowing him to read the defense and react. If the defense cheats over the top, Hield will fade to the corner or change course and immediately run back through the screens to the other side. If the defense switches and jumps to guard Hield, watch for the bigs to slip the screen and flash to the middle of the paint. Keeping it (over) 100: The Sooners aren’t short on experience or leadership this season. OU’s quartet of Cousins, Hield, Spangler and Woodard has started every game for OU the past three seasons, tallying 408 combined starts during that span. With the addition of Khadeem Lattin (34 starts), OU boasts a starting five with 469 combined career starts. Each member of the 'core four' has at least 1,000 points in his respective career at Oklahoma. Getting offensive: OU currently ranks second nationally in three-point field goal percentage (.425) by hitting 353-830 of its shots from downtown. Oklahoma’s all-time record for three-point field goal percentage in a campaign is .414 (1986-87). OU has connected on at least 10 treys in 22 games this year (a school record) and its 10.4 three-point makes per game ranks seventh nationally (first in the Big 12). OU's 353 total three-point field goals made this season ranks fifth in the country (also first in the Big 12). Buddy buckets: Hield is currently averaging 25.4 points per game, which ranks first in the Big 12 and second nationally (first among Power 5 conferences). The two-time Big 12 Player of the Year has scored at least 20 points in 25 games this season and his 46.3 percent (136-294) shooting from downtown ranks fifth in the country. His 4.0 3FGM per game is tops in the nation. The Bahamas native has 11 games of at least 30 points this season (one more than rest of Big 12 combined, most in the nation) and 13 total such games in his career at Oklahoma (tied with Michael Beasley for most in Big 12 history). 1. Rebounding: Oklahoma does a great job of taking advantage of second chance opportunities. Offensive rebounds give the Sooners open looks at three-point attempts, and if they have an average game they will make better than 40 percent of those shots. It's going to be tough enough to shut down OU, so the Aggies must chase down every rebound and not allow extra possessions. 2. Team defense: Of course Buddy Hield will be the main focus, but Texas A&M must stick to its principles and play great team defense. The Ags don't need to help off of Hield as much as the other players, but they do need to keep tabs on where everyone is on the court. Oklahoma is a great three-point shooting team and Billy Kennedy is certainly stressing to his team that good defensive closeouts on the perimeter will be key. 3. Offensive execution: No matter if it's a fast-paced game or a half court, slow down offense, the Aggies must execute the game plan of getting the ball inside first, and then utilizing the outside attack. And when I say inside game, It's not just about getting the ball to the post. It's about attacking the rim with the dribble and getting shots close to the basket or getting fouled. 4. 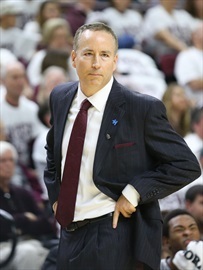 Take care of the ball: Texas A&M needs to limit its turnover and value each possession. The mental mistakes will play a big part in whether or not the Aggies make it to the Elite Eight.